Our little way of saying 'no thank you'. Introducing the Luddite Klubcard: the new, must-have method of digital vandalism, for use at all major supermarkets. Stand back and watch as the machine coughs, splutters and seizes up. 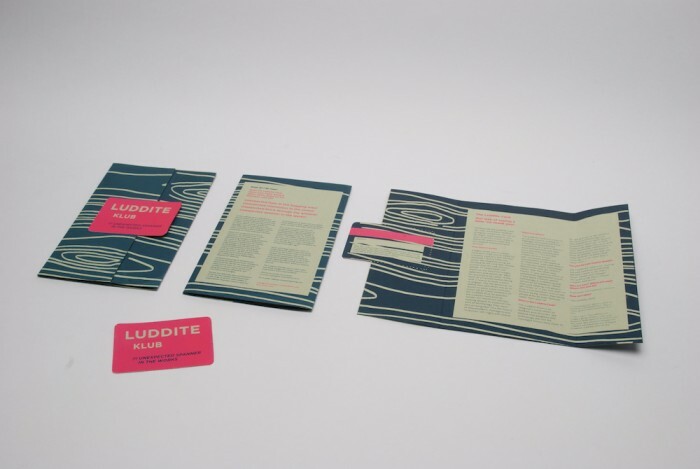 Used multiple times, by as many members of the Luddite Klub as possible, the Luddite Card aims to render the machines useless, helping people to question the sort of technology they want, and striking fear into the hearts of shareholders, managers and investors, left, right and centre. The Luddite Klubcard is brought to you by the Luddite Klub: an imaginary association of thinkers and activists. We celebrate creativity, mutual aid and common ownership. We don’t want a life that’s faster, easier and cheaper. We want a life that’s slower, simpler and fairer.